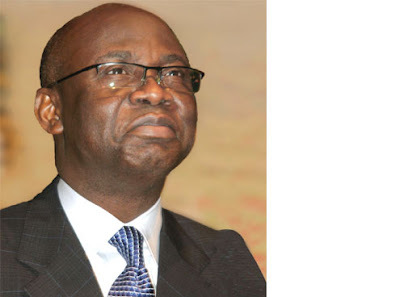 Pastor Tunde Bakare of the Latter Rain Assembly who was recently summoned by the SIB over anti-Jonathan sermons has announced that he is back in the country and prepared for government agents who had invited him for questioning for preaching against the lukewarm attitude of President Goodluck Jonathan in handling the affairs of the country. Bakare, who was out of the country when he was invited by the State Investigation Bureau (SIB) over a sermon in which he declared that President Jonathan was determined to lead Nigeria into bankruptcy, also said he defied several advice from people that he should stay back to evade arrest . Bakare, while leading the congregation of his church in the July 1 Sunday service, confirmed that a letter inviting him to the SIB arrived while he was overseas, adding that he decided that he must return since he does not have another country but Nigeria. He denied that he travelled out of the country to evade arrest. The fiery pastor, who is also the convener of the Save Nigeria Group, a group which ensured that President Jonathan took his rightful place as substantive President during the crisis brought about by the Umaru Yar’Adua’s health saga, also announced during Sunday’s service that he was set for prayers against all those holding the country by the jugular. “I invite the South, the North, the East and the West on 22 July to join us in sweeping away corrupt elements in government in Nigeria. “Only the foolish will wait for 2015 or 2020. “We are throwing the corrupt people out of power. July will be intense for them, August will be more intense for them and September will be the darkest night that will usher in a new dawn for Nigeria,” Bakare stressed. Pastor Bakare, in his reaction to an alleged suit against him by Lagos oil mogul, Femi Otedola, over his comment on the sting operation involving him and Farouk Lawan, said he was sure Otedola wanted to test the lawyer in him. “Let him bring his lawsuit so that we can put his integrity to the test. He wants to see the lawyer in me,” Bakare said. Bakare’s invitation by the security agencies had been widely criticised as an attempt to arrest and detain him. It had also been seen by political analysts as a strategy by the government to silence the opposition. It is time for the dagons to fall in Nigeria. Why have we nigerians gat eyes and couldn’t see, we are alwayz gudging pple with regards to their profesions and position. Prior 2 d lst comment,y should a preacher, a pastor, a church leader be involved in d political affair of a country when we al no dat politics iz a devilish game. Although, we al have 2 be involved 4 d betterment of nigeria bt don’t u thnk he should b suporting nigeria in prayer and in fasting rather than blackmailing an innocent man. Diz are al plain undastandin dat doesn’t nid xplanation dat Pst Tunde bakare iz only trying 2 condemn Gudluck jonathan jst bcos he wasn’t elected as d vice prexydent in d lst election. It high time we nigerians start standing 4 d truth irespective of those involved. Y should a man of God preach against d government in power wen d bible declares dat ” no government has come 2 play without God in support of it”. If God iz nt in suport of GEJ been there,he wouldn’t have been there.. His only God almighty dat only knw those who are really serving him cos pst Tunde bakare iz no longer giving ceaser wat belongs to ceaser anymore rather he iz contending with ceaser. “jonathan his leading dis country to bankruptcy” is dat a sermon or a blackfames. He should have waited afta d sermon and face d consequence if he was man enough. …… Is high time we stop dulging 4rm d truth and stat hiting d nail @ d head.. God bless Nigeria… .